Learn how to add jobs when you don't have a confirmed main shoot date. How do I add a job without a main shoot date? If you're a portrait, maternity, new born or commercial photographer, then there is a good chance you'll be booking jobs and not know a main shoot date yet. If that is the case, please read this article. When creating a new job that does not have a confirmed main shoot date, just tick the 'No date has been confirmed yet' tickbox. The main shoot will not appear in your Calendar. 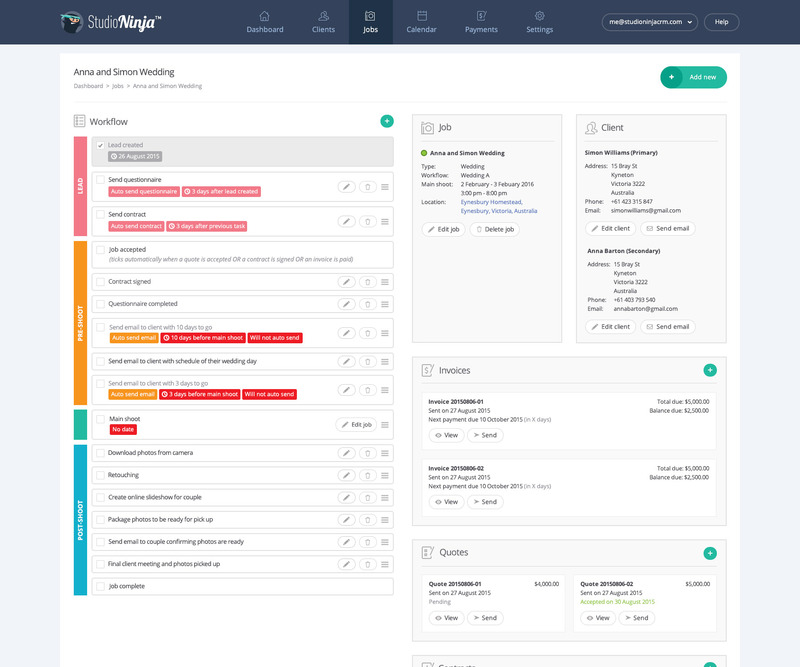 Automated workflow tasks dependent on main shoot date will not trigger. The %job_date% variable will display “No date”. What does these rules mean? Because your job has no confirmed main shoot date, it will not appear in your calendar, it will not be copied to your Google Calendar and it will not appear on your dashboard. 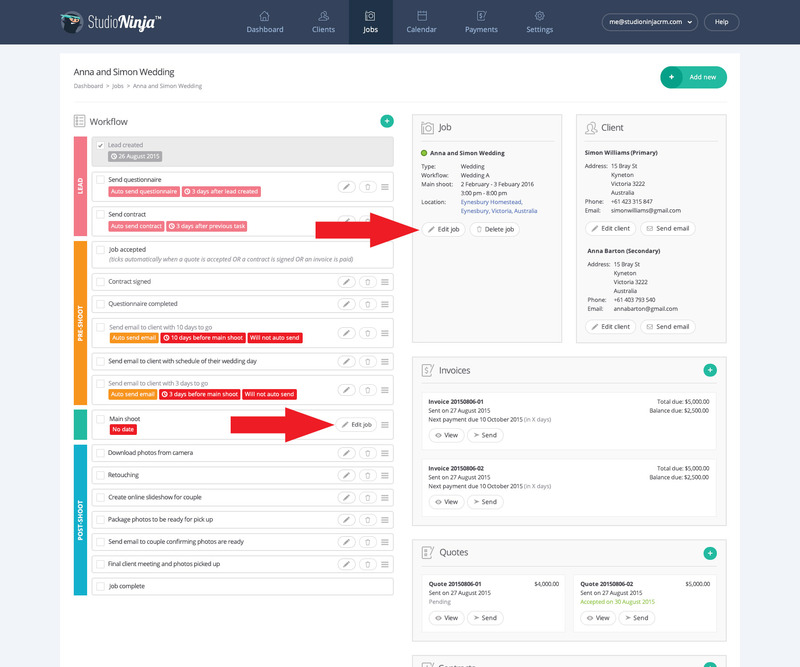 If you assign a workflow to this job and there are automated tasks associated with the main shoot date, then they will not occur until a main shoot date has been confirmed. For example, if you have an auto email scheduled to send 3 days before the main shoot date, the system does not know the main shoot date to trigger this email. If you have used the %job_date% variable in your email templates or in your contracts, the system will display No date until a main shoot date has been confirmed. 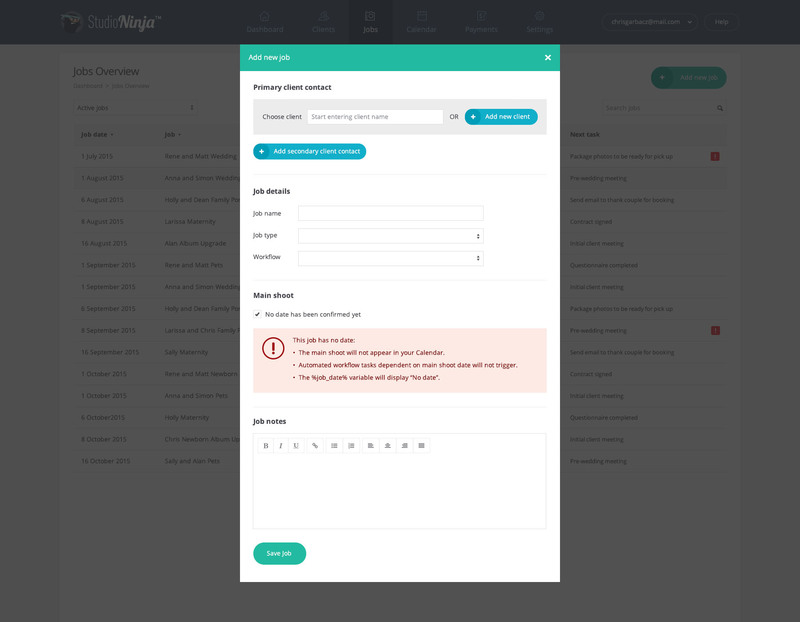 Once you have created the new job without a main shoot date, your job profile page will look something like this (if you have also added a workflow). How do I confirm a main shoot date? 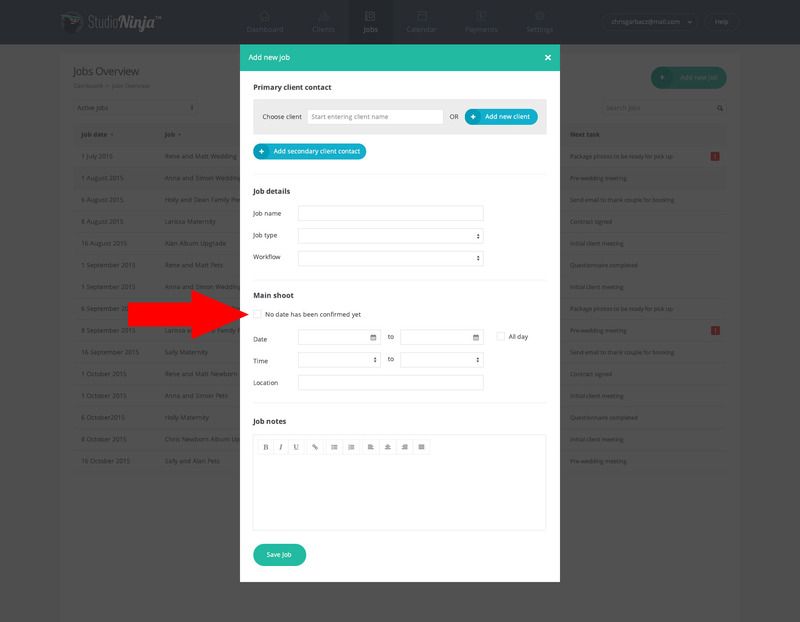 Once you have a date confirmed, click on the 'Edit job' button either within the workflow inside the Main shoot box on the left, or the 'Edit job' button inside the Job box on the right. Again, the New Job lightbox will appear. Simply UN-tick the 'No date has been confirmed yet' tickbox and add the date and time for your shoot. Click the 'Save' button and you're good to go!